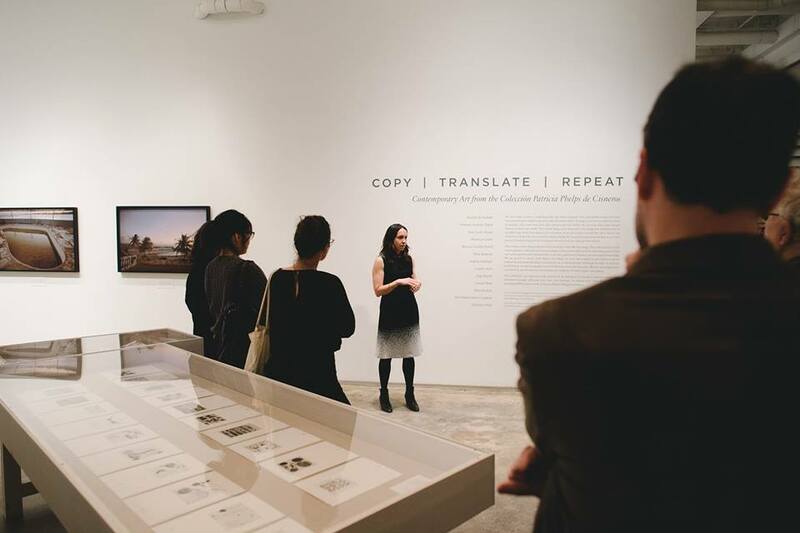 Harper Montgomery leading a tour of Copy, Translate, Repeat: Contemporary Art from the Colección Patricia Phelps de Cisneros. Photograph by Natalie Conn.
Join Advanced Curatorial Certificate students and co-curators in the gallery anytime from 1 to 3pm. We will be exploring the rich source material behind works in the exhibition through self-guided itineraries, short interactive tours given by the curators, and related performances.